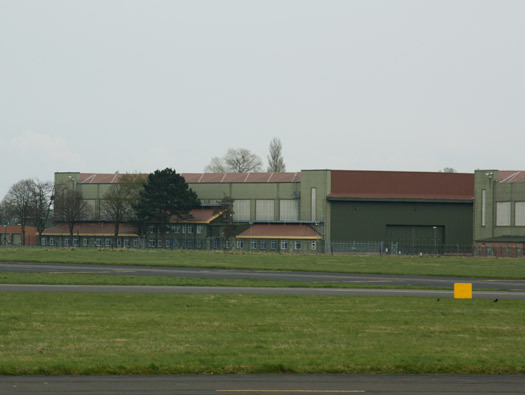 RAF Dishforth is situated just south of where the A168 joins the A1 north of Boroughbridge, Yorkshire. 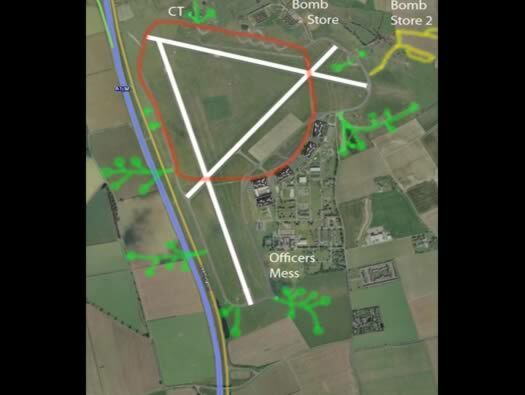 The red circle is the original perimeter track, yellow lines the later bomb storage area, green the early dispersals based on an aerial photo of 1943. Also I have overlaid the hangars with the original 1943 photo hangars. Some dispersed sites are now married quarters. 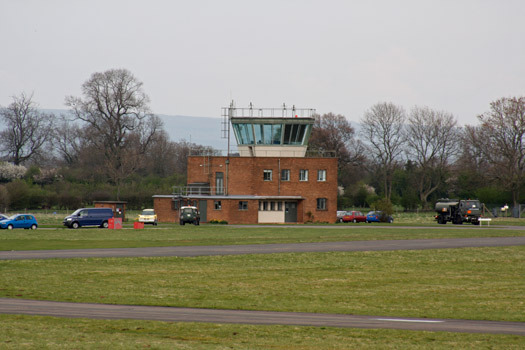 This is the later tower the original was set between the hangars. Thank you Terry for the Flight Sim Image. History : January 1937 and the first squadron arrived, No.10 Sqn with Heyfords. 8th September 1939 Dishforth sent its first mission out with No.10 Sqn dropping leaflets over Germany . 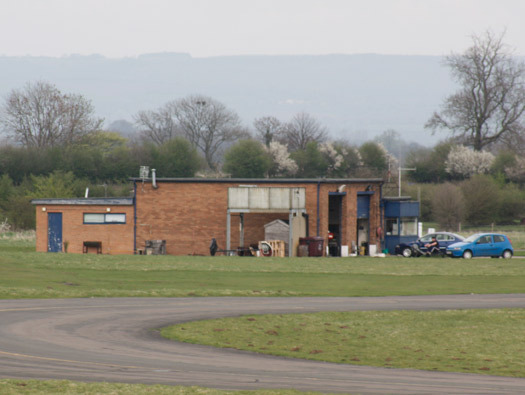 History : later in the war No.6 Group RCAF was formed and Dishforth came under its wing like all the airfields around this part of Yorkshire. First to be formed here was No.426 Sqn with Wellington's. 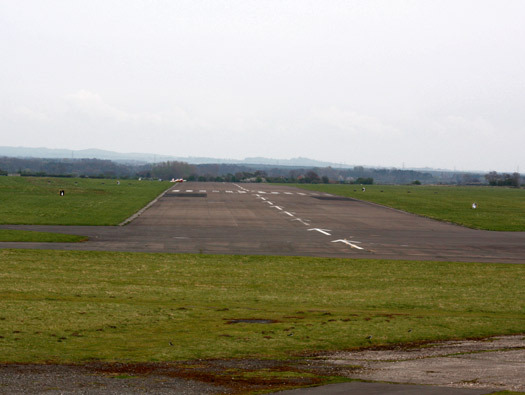 1943 saw the laying of hard runways and it disrupted flying for a while. This brought it up to a class A bomber airfield. There were 32 frying pan dispersals laid out around the enlarged perimeter track. History : November 1943 brought No.1664 Heavy Conversion Unit with Halifaxes. 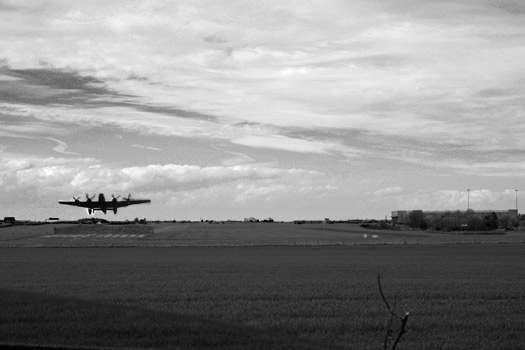 No.425 Sqn returned and reformed with Halifax and departed to RAF Tholthorpe. RAF Dishforth continued to be a training airfield for the rest of the war but would have sent many bombers on bombing missions. By the end of the war Transport Command took over and an OTU & HCU was stationed here. 1961 saw the end of RAF flying and in 1988 the Army Air Corps took over. Blue to Brown. Servicing a Halifax in a C shed. 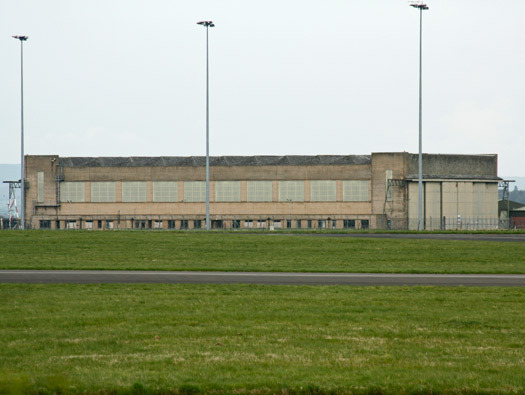 RAF Expansion Scheme airfields, built in the rush to re-arm against the looming German threat which became unavoidable in the early 1930s, were well constructed and built to a standard design. In spite of the urgency the Royal Fine Arts Commission was consulted as to the aesthetics of the proposed building designs and layout. 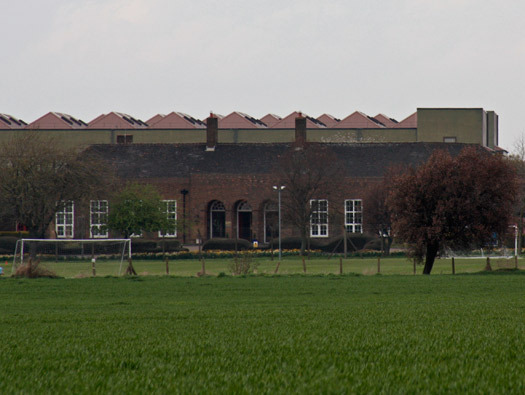 This included a standard airfield and domestic site layout including neo-classical red-brick residential blocks, standard mess. Starting from LtoR shed one. Door frame design with outer and an inner skin of sheet steel and filled with small stones (shingle) to help its armoured ability. 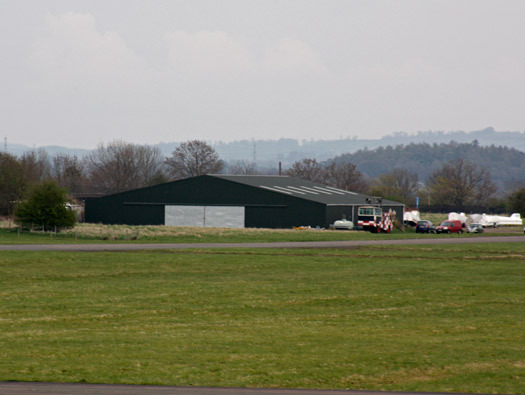 A C shed being built. 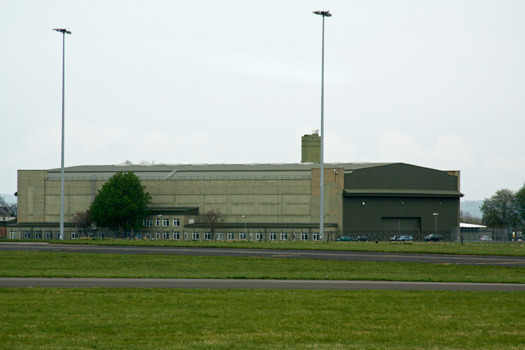 Hangars in early RAF parlance were SHEDS. Airplane Sheds Type 'C' 1934 Home Station. 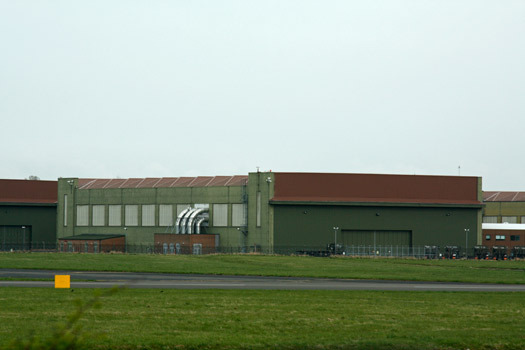 12 bay 300ft long, 150ft wide. The door height 35ft 5inches, six sliding doors, with flight squadron offices, crew rooms, repair rooms, flying cloths lockers, etc. The side windows were designed to, if a bomb exploded inside, the blast would force out the reinforced glass. Thus saving the walls. The armoured doors were filled with gravel to increase there armoured strength. One man could open them with a small winding handle. [Action Stations 6 M Bowyer]. Squadron offices down the side of the shed. Inside an empty C Shed. 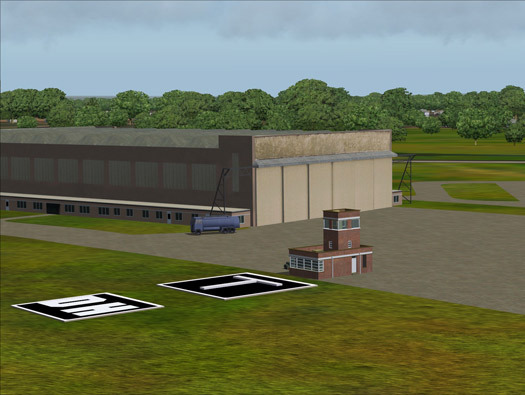 Hangar layout to a standard design. Doors gone, engine exhaust pipes sticking out the side. Army Air Corps the new owners. Officers Mess Type 'B' 2290/343-2292/34. A typical expansion period Officers Mess dated around 1934. 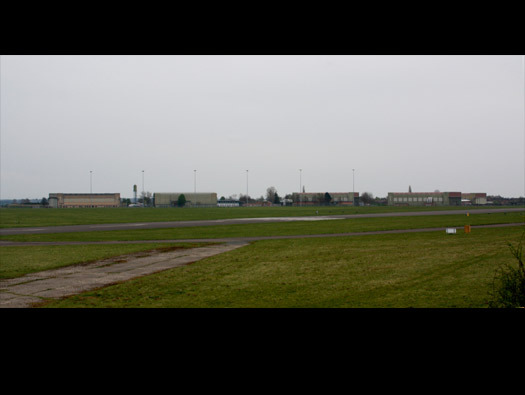 This is RAF Hemswell Officers Mess and gives an idea of what its like.